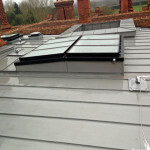 We installed zinc roofing as part of the complete renovation of this large hall in East Peckham, Kent. 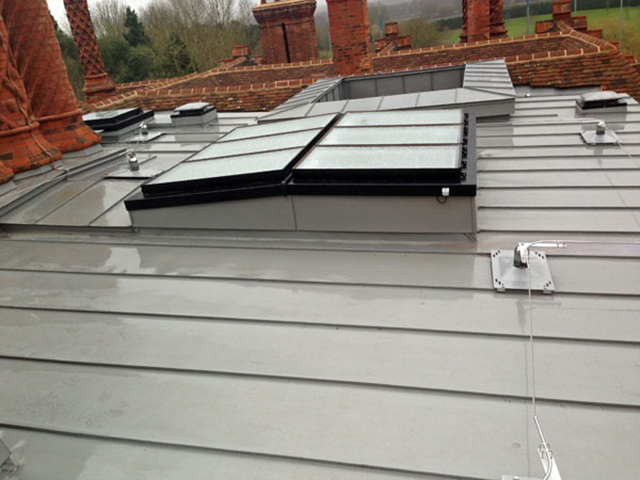 The profusion of rooflights, flues, chimney stacks and a lightwell, in conjunction with the architect’s instruction to keep panels widths as regular as possible, made this a challenging job for us (with successful results! ).